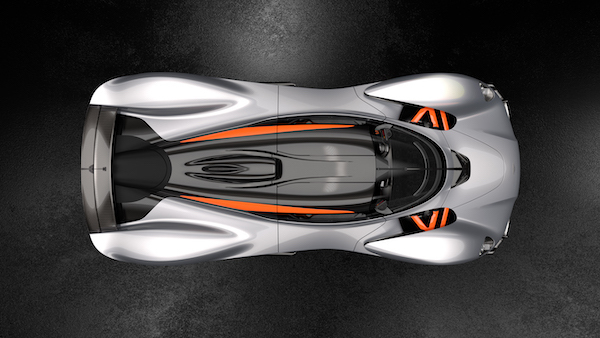 Owning a one-of-150 hypercar isn't enough for some people, so Aston will let them spec extra carbon fiber, titanium, and other exotic materials. 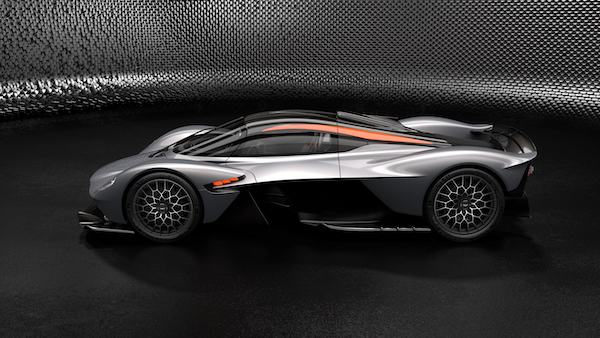 Aston Martin revealed this week that its Valkyrie hypercar has personalization options so extensive that none of its planned 150 cars should end up identical. 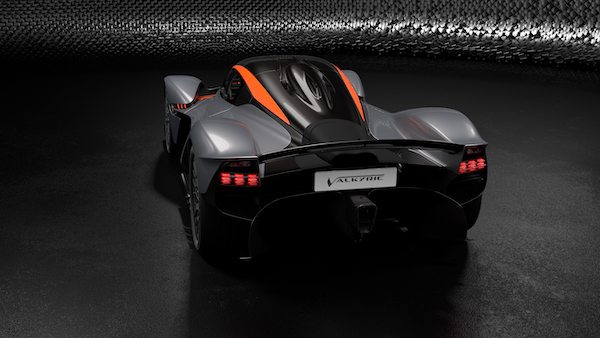 Developed in tandem with Formula 1 team Red Bull Racing and engineering firm Cosworth, the Aston Martin Valkyrie is a heavily track-oriented hypercar, capable of producing more than its own weight in downforce. 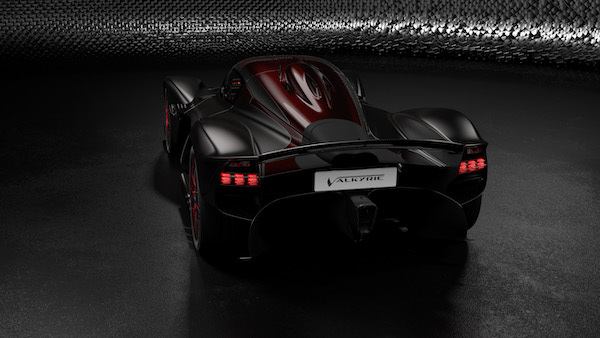 Its Cosworth-designed, 6.5-liter V-12 was developed loosely on the basis of an F1 engine, and as such has a peak output of 1,000 horsepower and 546 pound-feet of torque, making the Valkyrie the most powerful naturally aspirated production car in history. Each Valkyrie will be as personalized as it is fast, owing to a swath of exterior and interior modifications made possible by the automaker's vehicle customization department: Q by Aston Martin. 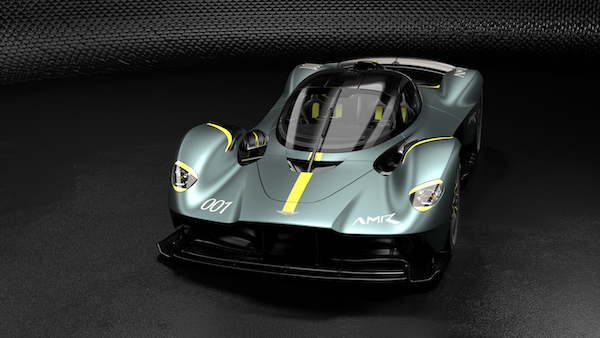 "This is simply the best car in the world if you want something bespoke and we are really pushing the boundaries to match the dreams of our customers," said Aston Martin's Executive Vice President Marek Reichman. 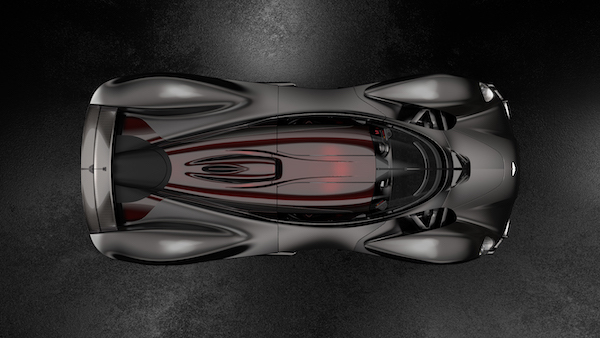 "Every single element of this hypercar, including its performance, can be personalized. The materials are very much about science, the art of creativity and the ability to create a unique solution that doesn't detract from this exceptional car's performance capability." Customization of every Valkyrie buyer's vehicle will be handled in a virtual reality configurator at Aston Martin's headquarters in Gaydon. Clients will be able to tweak options on the fly so they may be sure that their $3.3 million hypercar is exactly to their preference, and that the expenditure won't leave them underwhelmed. Road-bound Valkyries can be specified in four base paint colors: Slipstream Green, Liquid Petroleum, Ethanol Silver, and Maximum Orange. 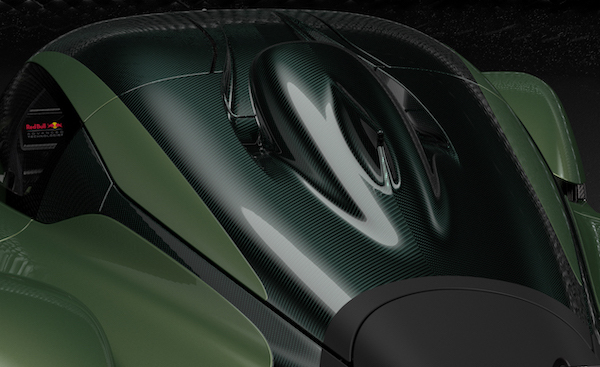 As standard, each of these colors feature an engine cover painted gloss black for contrast, but this can be stripped back to a lacquered carbon fiber. On the contrary, those that want more black instead of less can ask that the textured silver exhaust be blacked out. 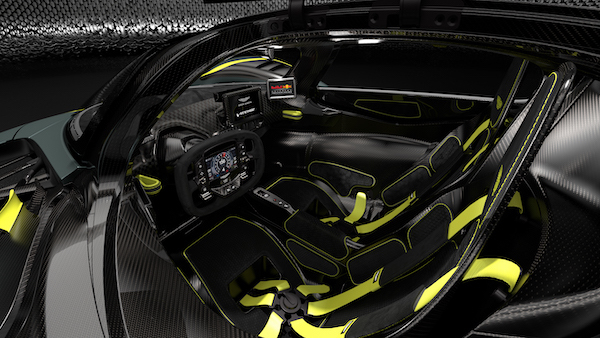 Inside, all Alcantara-finished surfaces can be had in a variety of colors, patterns, and finishes. Six color options are available for the Valkyrie's six-point racing harness, which keeps the driver in front of the wheel where they ought to be in high-speed corners. All of the driver's controls are located on the wheel itself, and manipulated with knobs made anodized aluminum in black, red, or silver. Impressing other Valkyrie owners, however, can only be done by specifying the optional titanium switchgear. What'll really get Instagram users going isn't the material from which the Valkyrie's volume knob is made, but the metal that Valkyrie owners can request be embedded beneath the paint. An optional Gold Pack gets a layer of 24-karat gold leaf laid down below the first layer of paint, though to what effect Aston Martin doesn't say. 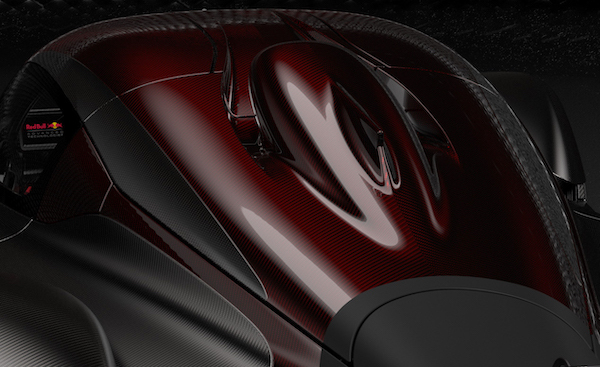 Alternatively, the Mokume Carbon Fiber package adds bare carbon eyeliner to the headlights, side vanes, armrest, main interior vent, and wheel face. 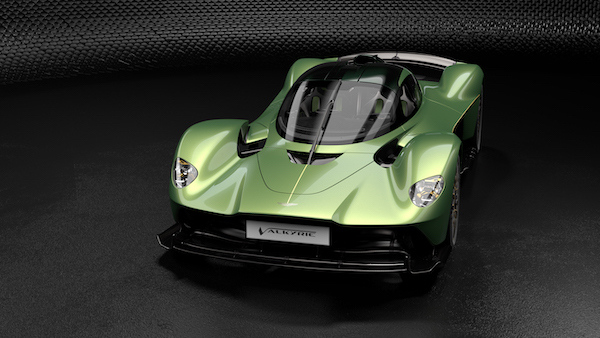 Those that missed out on the even more exclusive Valkyrie AMR Pro can meet the rarer, 25-unit only track car halfway with the AMR Track Performance Pack. 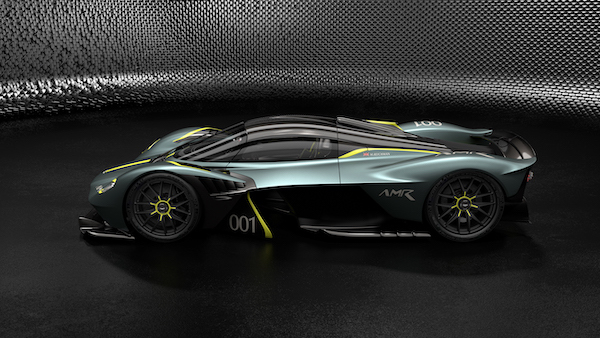 Aston Martin says this upgrade can improve lap times by as much as eight percent, which is an otherworldly margin in motorsport. This is achieved with an altered front clamshell that makes extra downforce, track-only suspension, and weight reduction in the form of titanium brake calipers and featherweight magnesium wheels, the latter of which cools the former using "turbofan" wheel covers. 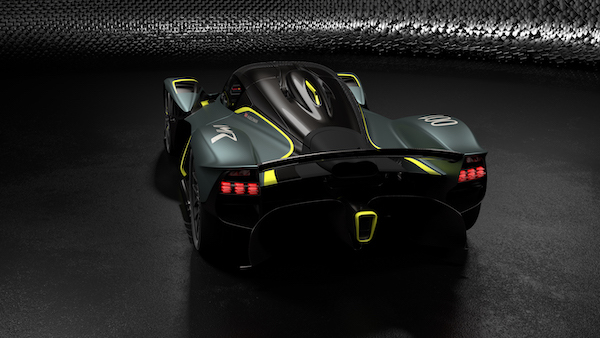 Owners can swap between the Valkyrie's track-only parts and its more road-suitable components, but even on the road, cars equipped with the AMR Track Performance Pack will distinguish themselves with a trio of racing-inspired AMR liveries. Again, Q can step up to the plate for owners that want something other than Aston Martin's in-house livery designs, like a Gulf Oil livery. 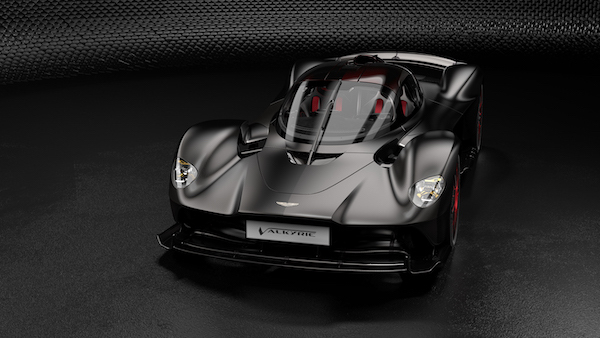 Aston Martin created the sinister special edition to celebrate its relationship with the famed watchmaker. Dr. Helmut Marko wields the threat of leaving F1 in favor of endurance racing if Red Bull's desires aren't met. Personal protection meets 007 elegance.